﻿2017 Convention: Florida -- a Trip of a Lifetime! Front Row, left to right: Elisabeth Gieger (CA), Joed Hill (MO), Margie McCeney (MD), Arlene Bright (AZ), Dorothy Sanders (AR). Kay Lyndahl, Publicity Chair; Judith Koutsos, Hospitality Chair; Helen Dennis, Liaison. 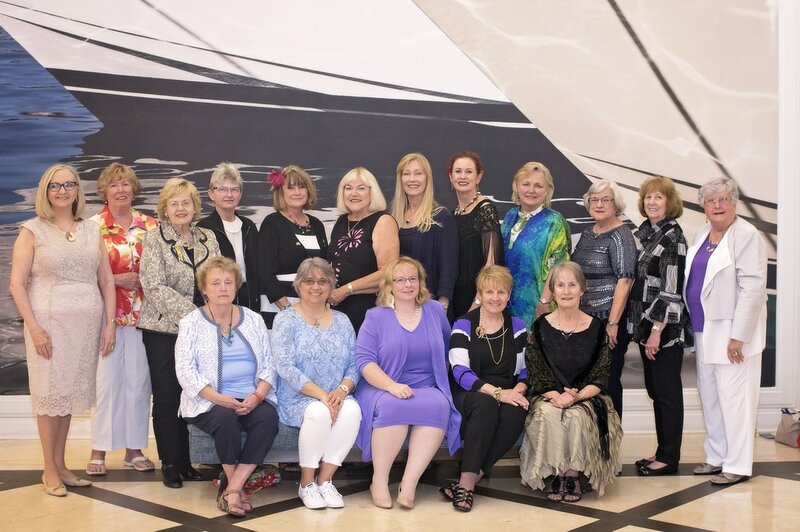 Second Row: Diane Anton, Luncheon Chair; Kathy Vitale, Registrar; Deborah Kelley, Hostess Chair; Linda Goshorn, Printing & Signage Chair; Lynn Carr, Treasurer. Moonyeen Bongaards, Assistant Tours Chair & Armchair Tours; Patricia Pochurek, Founder’s Award Chair; Jody Stanley, Teller. 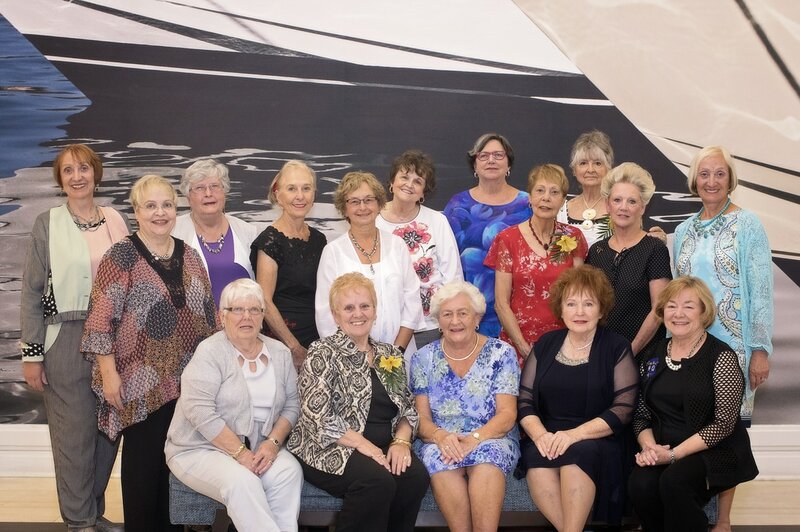 Past Presidents: Linda Goshorn, Ginger Robbins, Bev Cyr.